Over the millennia, the peoples of the Mediterranean have learned a simple but profound truth: Almost anything goes better with olive oil, garlic and a little salt. Maybe some lemon juice. Over time, they realized that, if you have the oil,the garlic and the salt, then you can just go out into the back yard, scoop up almost anything that’s green and fresh, and mash that up with the oil and garlic and have something good to eat … although, if you try this, things will go a lot better if you have some basil or parsley in your yard. Which of course brings the discussion to pesto and pistou and persillade and green sauce. It’s almost time to start getting ready. 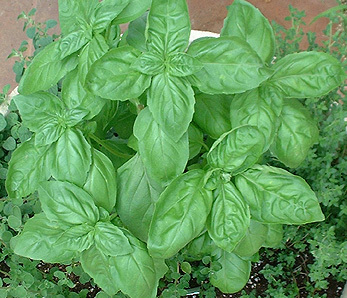 With fresh basil, you can have the best pesto. The good news is: any idiot can raise good, fresh, plentiful basil. All basil wants is a lot of sunshine, plenty to drink and a well-drained place to sit. (Basil and I are a lot alike.) You will have all the fresh basil you want – at trifling cost. It’s a little amazing how many different recipes are described as the one for “classic” pesto; and it’s daunting to observe the near-religious fervor that infuses notes and articles about it. Just put “pesto recipe” into your search engine and push the button. Bryan Garner, the legal writing oracle, has now expanded his sway, publishing the HBR Guide to Better Business Writing. In an interview, he says that most of us believe that we are good writers. 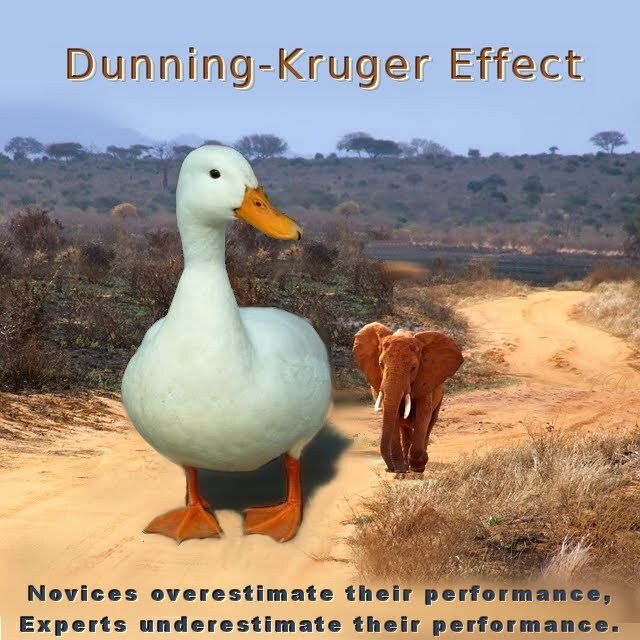 This arises, he says, from a psychological phenomenon known as the Dunning-Kruger effect , which, boiled down, says that people who are incompetent in a particular domain tend to overrate their abilities because they don’t really know what is good, while people who are good tend to underrate their abilities because they have higher standards. So, bad writers think their stuff is good. Good writers think their stuff is bad. For legal writing, the bad writers are wrong and the good writers are right. Multiple drafts and different perspectives are always needed. What is truly amazing is how good a draft may seem in the moment it is written and how bad it can look after it sits for a few days. a devastating indictment of the greed, shortsightedness, and dishonesty that now permeate the legal profession, this insider account is essential reading for anyone who wants to know how things went so wrong and how the profession can right itself once again. The book itself won’t be released until April . But Steven Harper has already published an article in the March 15 isssue of The Chronicle Review that ranks all by itself as “a devastating indictment” — of big law firms, of law schools, of law school deans, of the ABA, of law firm management consultants, of law firm rankings and of law school rankings. The book is The Lawyer Bubble: A Profession in Crisis. And we’re talking about “decades of greed and grandiosity.” Harper is the guy who writes the law blog The Belly of the Beast. The announcement of the book’s imminent arrival is accompanied by quite a list of pre-release blurbs attesting to its scathing-ness and its cogency and its wit. The cumulative impact of these policies is becoming clearer. Vulnerable young people become convinced that anyone can succeed as a lawyer. Because much of their undergraduate audience consists of liberal-arts majors who can’t decide what to do next, law schools appear to be an attractive default option. Add a universal human affliction—confirmation bias—and the fit becomes too perfect: Law schools tell prospective students what they want to hear, and sure enough, they hear it. The U.S. News rankings then tell them which schools to attend. And easy money for student loans fuels the entire system. The principal victims of this phenomenon have been those lawyers who become trapped in the culture of short-termism. That culture is especially rampant among the prestigious big firms, where, as a group, lawyers are the unhappiest. As growth itself became another key element of strategy, increasing numbers of lawyers at larger and larger firms have become dissatisfied with their careers. As attention moved to current-year profits, the new model also led individual partners to jettison longstanding traditions of lifetime loyalty to a single firm in exchange for the promise of more money elsewhere—now. Some of the pre-release promotion promises that, in addition to the indictment, The Lawyer Bubble also delivers “solutions.” I gather that you need to buy the book to get the solutions. Too much lemon juice. Not enough lemon juice. Don’t warm the lemon juice. Not enough garlic. Microwave the chic peas longer. Don’t microwave the chic peas so long. The best hummus in Greensboro is at Jerusalem Market, Cleopatra, Chef Samir, Nazareth Bread Company, Jack’s Corner. Eastern North Carolina hummus is better than Lexington and Piedmont hummus. 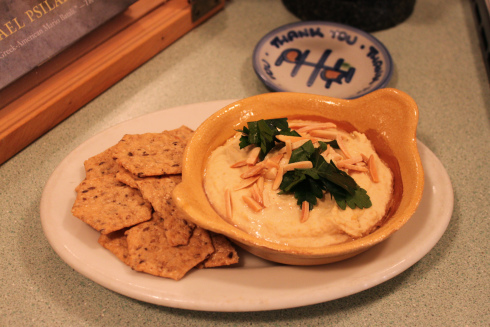 You should try South Carolina hummus. The paper referred to in an earlier post here, A Distant Mirror: How 19th Century Lawyers from Guilford and Edgecombe Counties Are Models for the Next Generation of Lawyers & Firms Worldwide, has now been made available here. I suggested in that paper that the attributes of 19th Century lawyers look a lot like what will be needed by 21st Century lawyers and law firms. Does it serve any useful purpose to characterize different periods in the history of the profession and give them lofty names? I think so for two reasons. First, having a mental model gives context to the past and helps to discern future directions. Second, understanding what has differed from period to period in the past helps to understand what has not changed. Looking at that paper in retrospect, it is not focused as sharply as it might have been on those questions – but, however clumsily, it was headed there. And I had a deadline.